This delightful self catering holiday cottage in Broad Haven, Pembrokeshire, has a safe, secure rear garden and off road parking for one car. 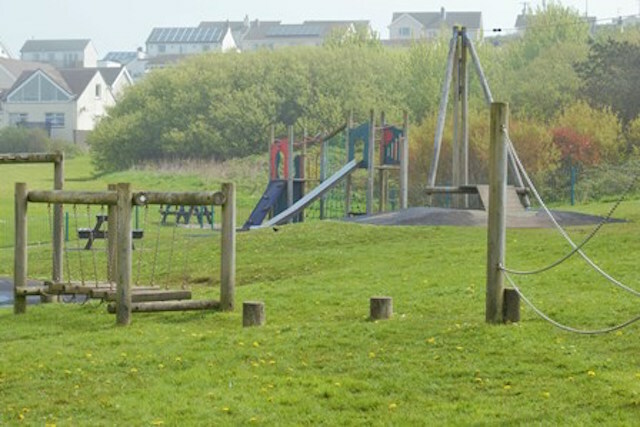 It is the ideal base from which to explore the stunning National Coastal Path and neighbouring villages of Solva, Dale, Porthgain and the City of St Davids. 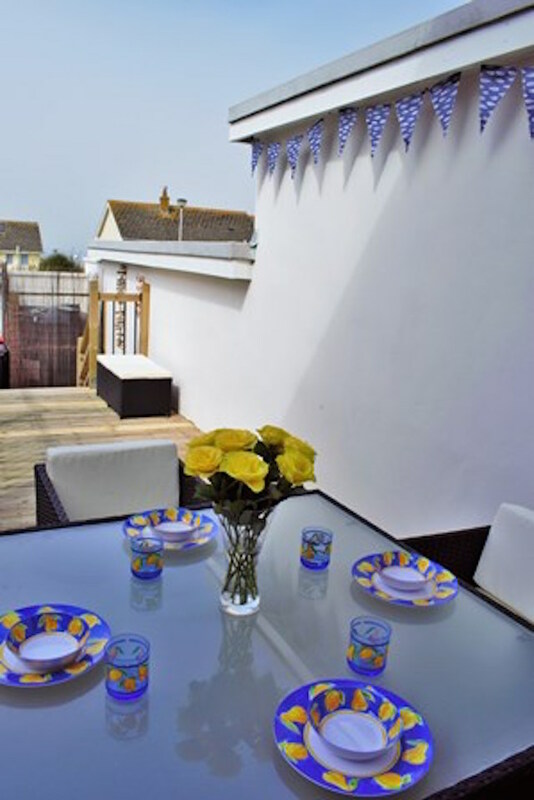 This cottage is situated just 5 minutes walk from the beach. Lounge: Is comfortable with two piece suite, wood burner, TV and Freesat. Wifi included. Bedrooms: Bedroom 1:1 x double bed, bedroom 2' 1 x double bed and bedroom 3: 1 x twin beds. Travel cot (provided on request but please bring own cot bedding). 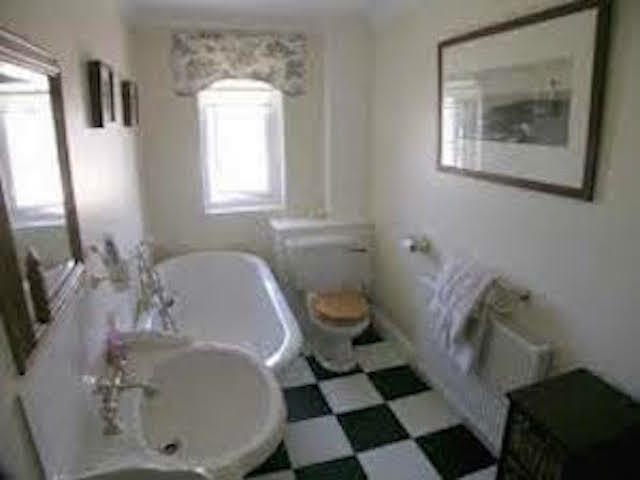 Bathroom: There is a bath with a shower over the bath, sink, w/c, mirror and shaving point. There is a heated towel rail and extractor fan. Heating: The cottage is heated by oil fired radiators. 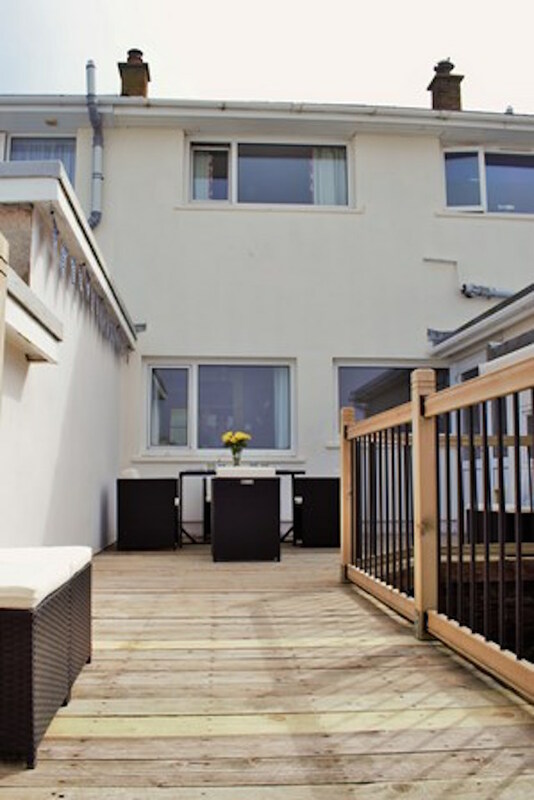 Outside there is secure rear decked area with garden furniture where you can watch the kids play whilst enjoying a glass of your favourite wine!! We had a lovely stay at 45 Atlantic Drive, which is wonderfully close to the beach & the cafes & shops at the front (you can even hear the waves from the house). 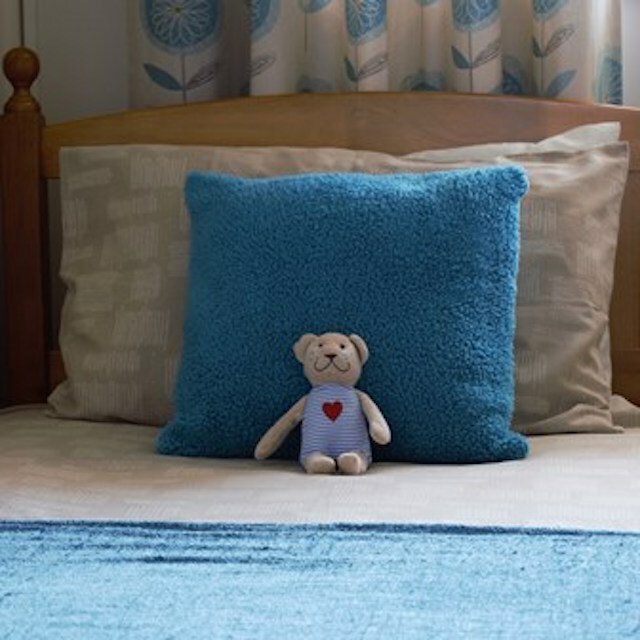 The house itself is spacious, clean & tidy with a lovely homely feel & is fantastically well stocked with plates, cups, glasses, picnic crockery, beach mats & toys. There’s also a fantastic array of DVDs, books & games for rainy days/evenings. All the extra touches in this house make it an ideal home away from home & a perfect base from which to explore this beautiful part of the world. The house was in a great location (stone's throw from the park) and more than big enough for a family of 4. 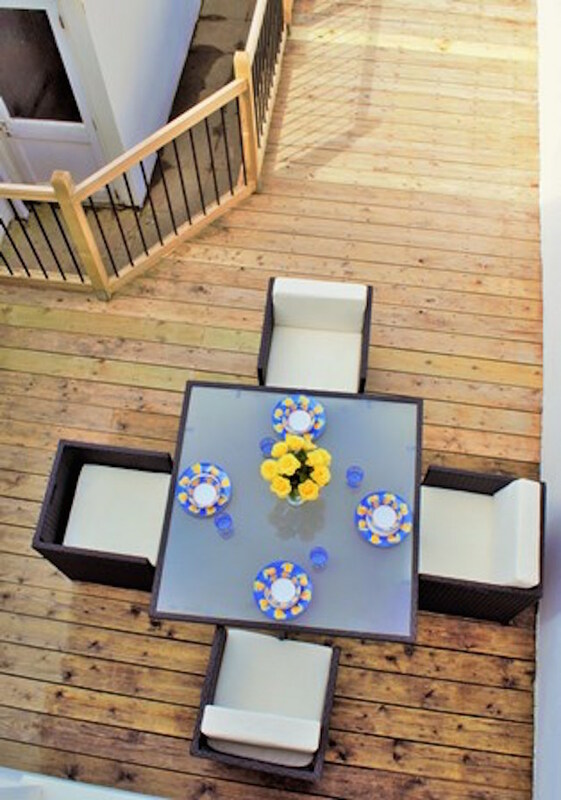 Inside was modern and well furnished with a sun trap outside on the rear decking. The views of the ocean are a real plus and with it being a 3 min walk to the beach we'd definitely consider this property again. We had a lovely stay at the house, lots to do in the area plus plenty of fabulous beaches. The house had everything we could have wanted and more, perfect for our family of 5. Thank you for another great property in Broad Haven. The house has everything you could need for a holiday. We were very lucky to enjoy the lovely weather... Sunshine every day. We always love coming to Broad Haven and have always had great accommodation through Stay in The Havens. This time we got to introduce our toddler daughter to the delights of Pembrokeshire and we’ll definitely be back again next year. Thanks for making our stay so stress free and easy. The house was a home from home. The weather was good and the swimming was great. So close to the beach! The most wonderful view whilst washing up that I could ever dream of! A lovely comfortable house with everything we needed and the sun has shined. Beautiful sunsets! We enjoyed a lovely week in this very spacious, and comfortable holiday home, with everything we needed. Wonderful views of the sea, and it was lovely to have the beach so close, just a few minutes walk away! Lovely house, really well equipped and very much a home from home. Much closer to the beach than we originally thought. Just a few minutes away. Very nicely equipped house. Everything you need. Thank you.